Stora Holm Trafikövningsplats is a traffic eduction center on Hisingen, north of Göteborg. Stora Holm Trafikövningsplats is classic Volvo territory. 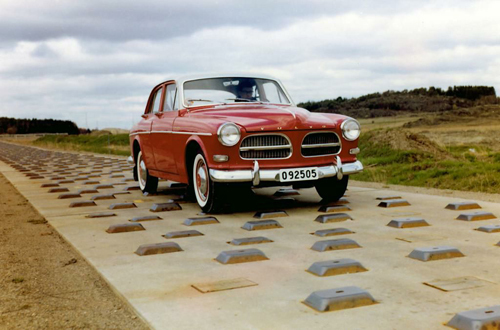 Volvo performed road tests here for three decades. 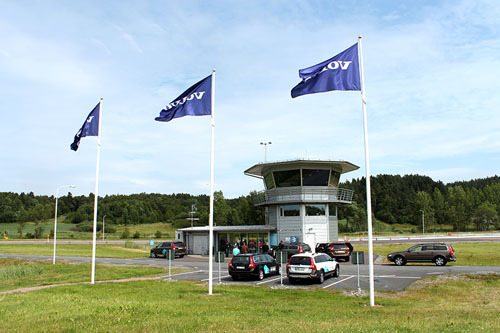 What was once the Volvo groups main skid-pad is now a modern traffic education center. Driving license students, professional drivers as well as private persons come here to get educated on how to be safe drivers. 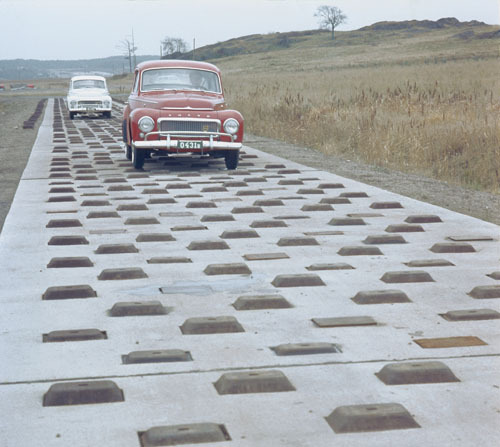 From the late 1950s to the early 1970s Volvo did most of their test-driving at Stora Holm Trafikövningsplats. Many of this times technical solutions were tested here. For example the historic safety milestone the “three-point seat belt” was tested here to thereafter be introduced to the market, be a success and also become industry standard. The two-circuit brake system was also barrier tested here. The two-circuit brake system lets the car keep a large part of the braking effect even if one part of the brake system should fail. 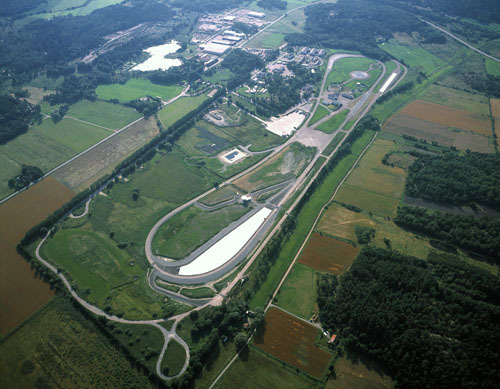 In the early 1970s the Volvo group had grown extensively and moved to its present and larger testing center in Hällered in 1974. 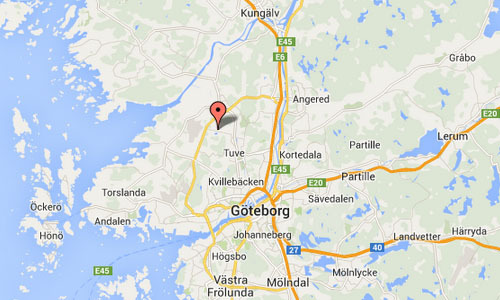 Stora Holm was given to The City of Gothenburg under the prerequisite that Gothenburg’s traffic safety association would use it as a traffic education center. Stora Holms Trafikövningsplats has been operating as a corporation under de direction of NTF Väst since 2003. Through the years the company has developed into one of Europe’s largest educational traffic safety facilities. Today Stora Holm offers tracks for advanced skid driving and other exercises in handling your vehicle. We also have the possibility to simulate many different accident scenarios, for example, sudden traffic obstacle. 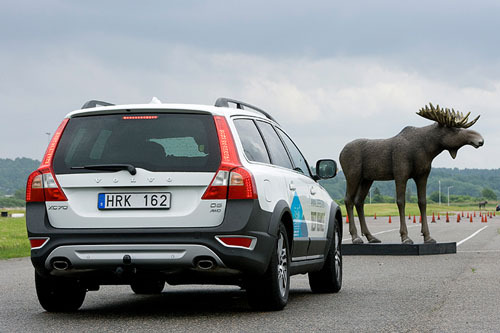 Driving on a track and having an obstacle in the shape of moose pop up should be an eye-opener for you as a driver and is an effective way to give knowledge and insight about the significance of driving speed. 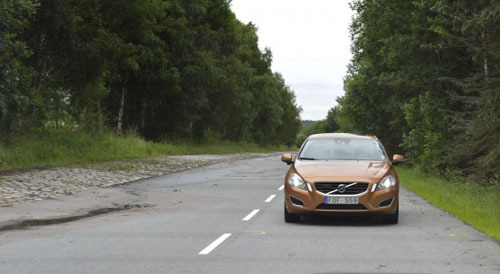 In 2013 Volvo Cars organised a large press meeting to demonstrate 6 new safety systems where about 300 journalists from international top media had the opportunity to test six safety systems of the future at Stora Holm Trafikövningsplats, Gothenburg. The new safety systems: Autonomous Parking, Adaptive Cruise Control with Steer Assist, Road Edge and Barrier Detection with Steer Assist, Road Edge and Barrier Detection with Steer Assist, Pedestrian Detection with Auto Brake in Darkness and Animal Detection. 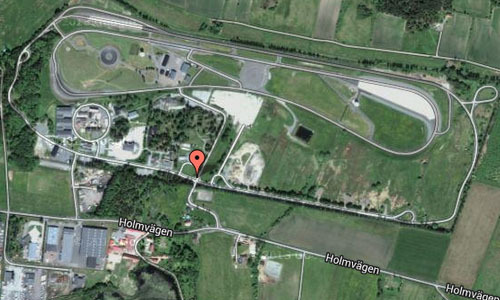 Stora Holm Trafikövningsplats is located at Holmvägen 55 in Hisingen, Gothenburg. Look out for the sign for Stora Holm Trafikövningsplats. The car park is located by the main building. 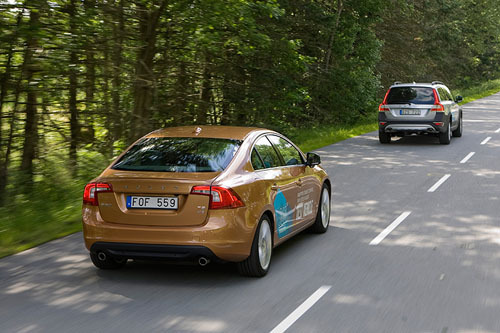 More information at www.storaholm.se and VolvoSPAevent2013_eng.pdf.